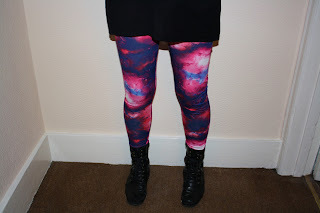 In case you haven't noticed, I'm rather partial to wearing slightly wacky things on my legs. When I ordered these they were out of stock on S/M so I went for M/L with my fingers crossed. Let's just say I'm kind of glad there were no S/M available, because I think they would have looked offensive on me, if I was able to yank them up over my thighs at all. For £9.99 these were pretty much a bargain. A round of applause for Missguided is in order I think! You can check them out online here. 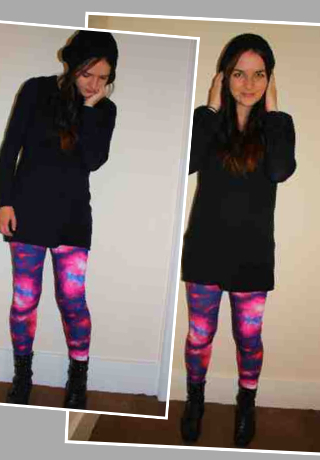 What do you think of this intergalactic legs look? Out of this world or from another planet? Not sure if I could pull these off but they look ace on you! 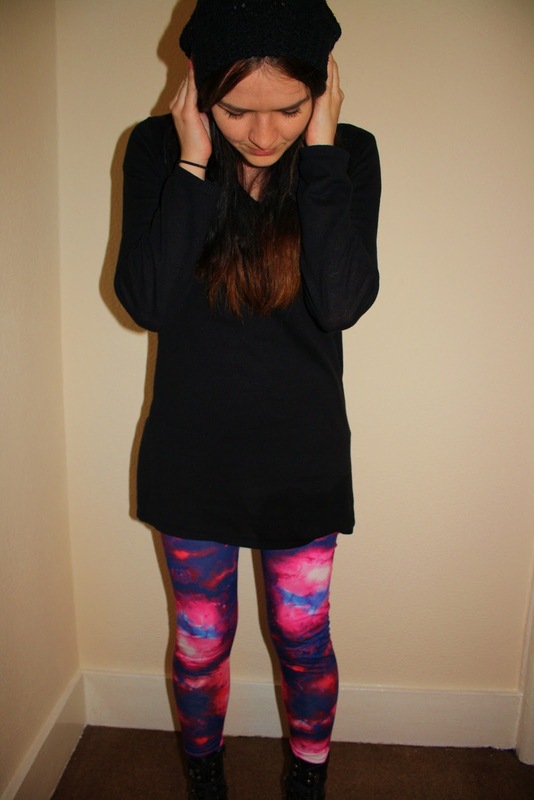 I love all the galaxy prints around at the moment, the leggings look gorgeous!